The X-Bow is Ridley’s highly versatile all-road bike, made of 7005-T6 alloy. 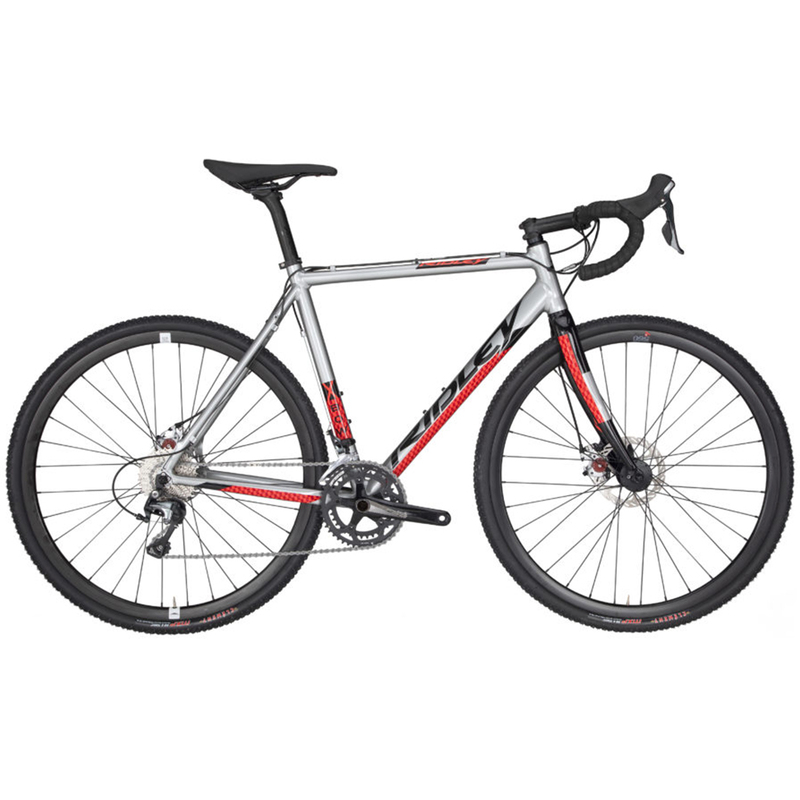 While it is ideal for those who are just entering into the world of cyclocross, it can also finely function as a road or gravel bike. Designed with 36mm tire clearance, just change the tires and off you go! With a more relaxed, sloping geometry than the X-Night and X-Ride, it handles brilliantly on all terrains. Equipped with mounts for mudguard and rear rack for riding to work or around town. Equipped with flat-mount mechanical disc brakes, the X-Bow Disc offers precise braking control in all weather conditions. Perfect for that Sunday stroll through muddy corn fields and down the side of a slick grassy pasture – otherwise known as Belgian cyclocross racing. Or it can be used for a winter training or commuter bike. With the X-Bow Disc, you have full permission to go off the beaten path!